It is almost 2015 and the holidays have kept me busy and actually cooking less. This is the time of year many people cook and host more than usual. I’ve been working hard at not over complicating everything. I was wanting to try some new fun recipes but hosting isn’t the time for that, and I really enjoyed a slower paced holiday season. I refused to let Pumpkin be relegated to November, so I kicked off December with Pumpkin Mac & Cheese with Gouda Brown Butter Sauce. I thankfully have some leftover sauce to relive this tasty dinner. 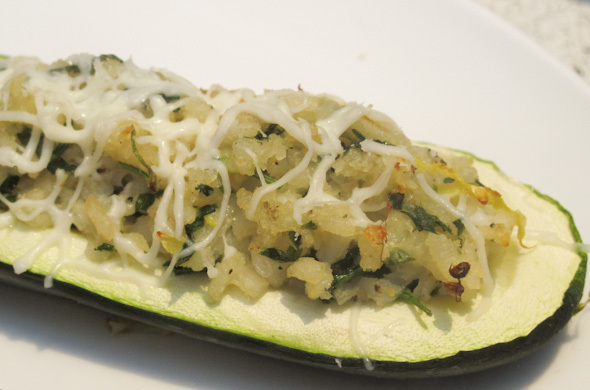 The biggest bust of the month was Zucchini Risotto Boats. They were just blah. 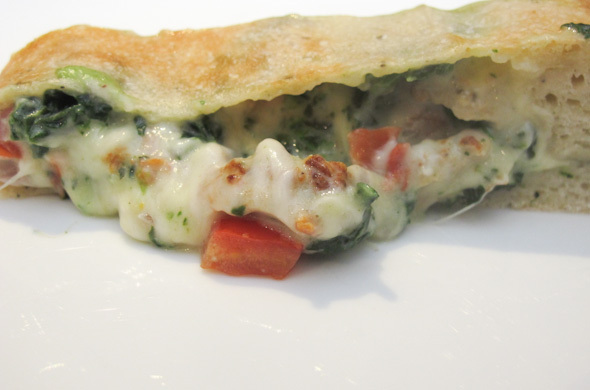 My favorite quickie dinner this month was calzone with chicken meatballs, creamed spinach, tomatoes, and cheese. 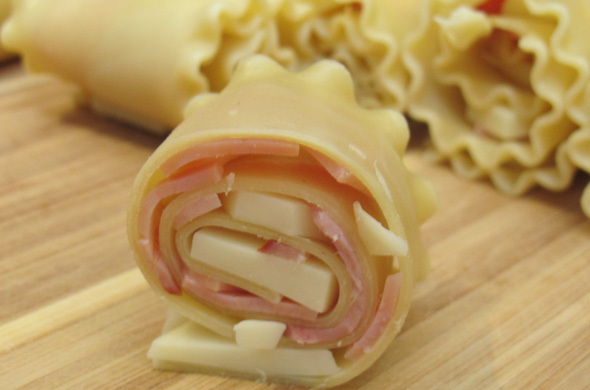 I messed around with a ham and fontina rolled up pasta idea I saw on an episode of Diners, Drive-ins & Dives, though I can’t find it and give credit where credit is due. They were fun and so darn cute. In an effort to not push my boundaries too far, I whipped out a few freezer favs & quick meals this month like: BBQ Chicken Bubble Up Pizza; aranchini to pair with some pasta one night; broccoli & cheddar soup; bfast for dinner, grilled cheese w/ tomato soup; etc. The Year of the Flower lived on! Mr. J got me poinsettias that are fun for festiveness to have a plant, though I guess our Christmas tree should count too. I also had a cheery mix from my baby shower. Follow me on instagram for the latest and greatest. I neeeeeed to decide what next year will be the year-of-the-________, other than year of the baby! send more mail – yes, I sent out all my baby shower thank you notes. No holiday cards this year, since January will include a baby announcement. try a spin class – um nope. I’m not adding in any super new exercises at this point. I have been trying not to over-do it. I’m watching my fitbit steps to be moving around a bit, but I waddle everywhere and I’m quite tired. make more cocktails – umm no cocktails for me until January but this nutella hot chocolate was just in the St. Nick of time. It is almost time! I can’t believe it. I’m now 38 weeks out of 40-ish. I feel really good, but also kind of feel like a hippo. The final stretch has come out of nowhere! I’m glad I was super busy in October & November for work and then December was busy with the most perfect baby shower and holiday celebrations with both families. I loved celebrating Christmas with the C family at our house and then the R family. They were really lovely holidays that brought me to tears. It’ll never be the same. Now it is onward to baby-time! I’ve had a ton of backpain and I’m trying to really hydrate. We wrapped up the supplies and I’ve read a few books. I think we’re as prepared as we can be. I’ve been very interested in desserts, which is quite fitting for this time of year. I’m kind of continuously hungry but don’t want to be packing on the unnecessary weight. The next few weeks will be crazy but I’m excited. I need to finish getting a few little things ready. I have a crafty-wall art piece planned too! As much as I looooove holiday decor, I’m ready to switch over to full-out baby set up. I haven’t stocked up the freezer yet but I have a list and some ideas. It could be anytime so we’ll see what happens over the next few weeks. When I suddenly go MIA, you’ll know why! Enjoy NYE! It has never been my holiday but I’ll live vicariously through your champagne! 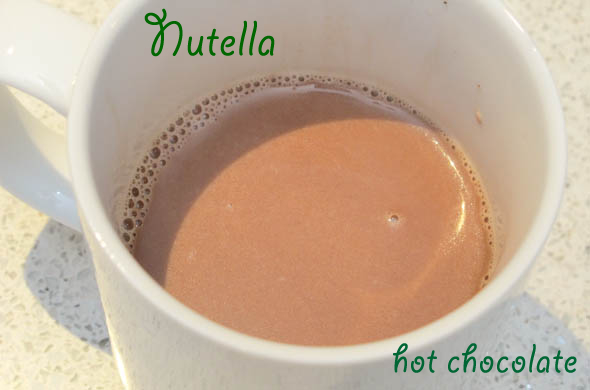 I saw nutella hot chocolate on A Beautiful Mess and I wanted it instantly. I mean, who doesn’t need to jack up the cost of their hot chocolate cup by 300%? It tastes different than regular old hot chocolate. It is definitely special and not for the everyday. Warm milk and cream in a saucepan over low. Add in the nutella, cinnamon, and salt. I know the holidays are decadent enough on their own but this is perfect for the post-holiday no-man’s land between Christmas and New Years or if a weeknight needs a pick-me-up or the no-bake option for dessert. I just had a lovely weekend of Family Christmas #1 with the C family. Even though we hosted here, I have nothing to blog since a) Mr. J did all the work and b) I’m trying not to do too much while toting around this 37-week old babe in my belly and c) I didn’t want to over complicate things. We had great and plenty of food and it was all a manageable menu. Also big kudos to Mr. J for shopping and prepping everything. One fun moment was making the chocolate fondue which I choose since I’m not a big baker. The chocolate seized and then there were 3 of us googling how to fix it. It was a reminder that “you can’t win ‘em all”, “it takes an army”, and sometimes the fix-risk is worth it when “it can’t get any worse”. Fun fact: the steam from the double boiler is what made it seize, yet boiling water was actually the fix. It was delicious and we ended up laughing about it and to all a good night. This Greek Dip is suuuuper easy, very portable to just assemble on-site, and doesn’t require any cooking. Plus it is sort of healthy. 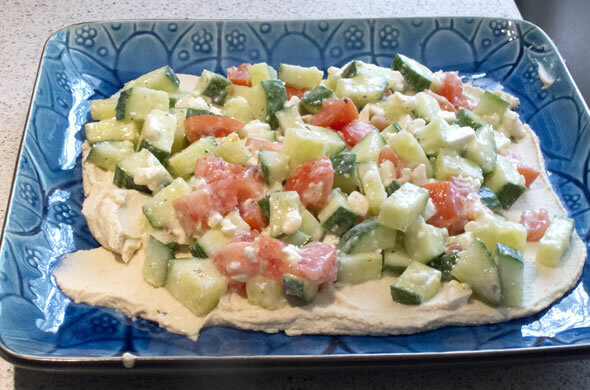 Spread hummus onto the plate, top with cucumbers/tomatoes/feta/Greek Dressing. Dip with pita chips. Ho ho ho. Have one for me! 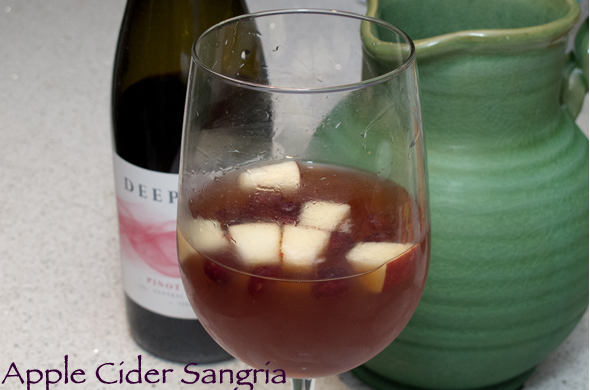 Make some Apple Cider Sangria to appeal to cocktail-lovers and wine drinkers alike. 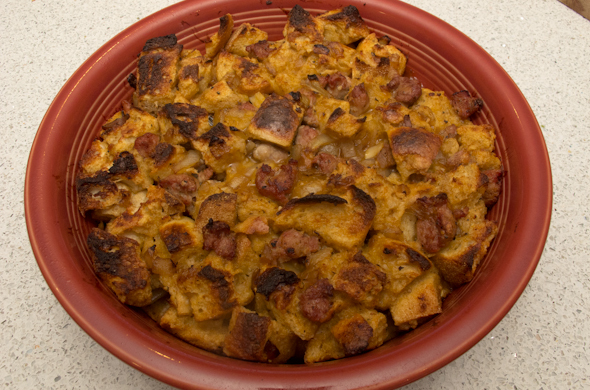 This Sausage Stuffing is the best. 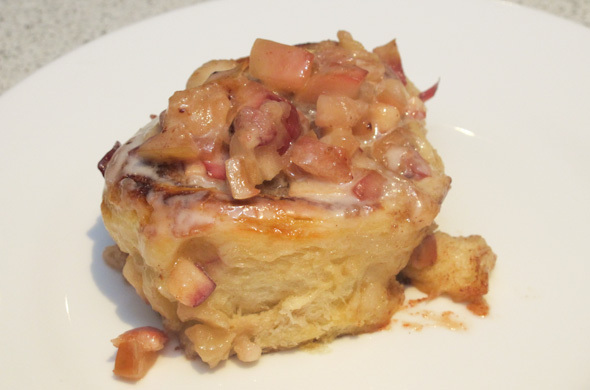 It also can be prepped and just bake alongside the rest of your meal. The secret is golden mushroom soup mixed into it. 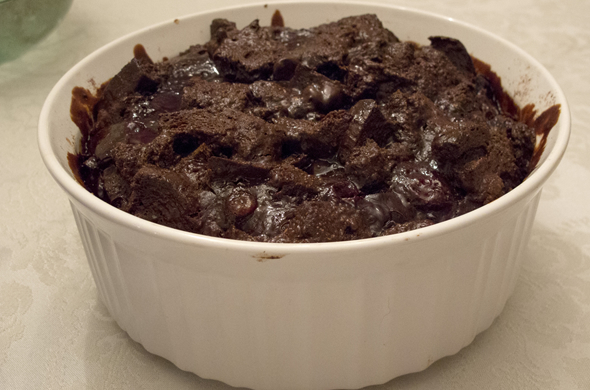 Black Forest Bread Pudding seems like such a decadent and special dessert. The best part is that it is foolproof, and that the intense chocolate is nicely paired with dark cherries. 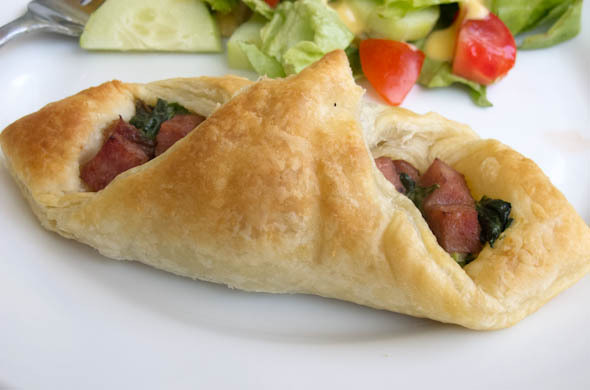 Puff pastry turnovers work well for leftover ham. 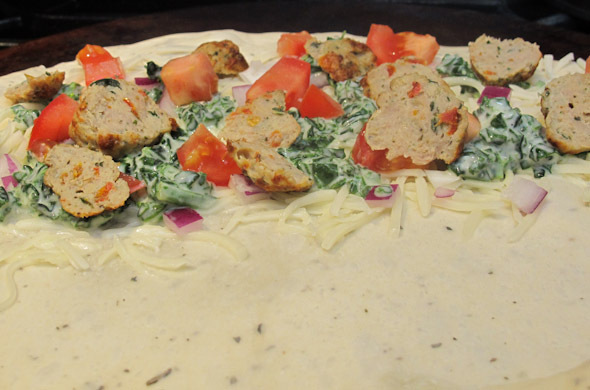 (or a panini is a great use for any ingredients like turkey or meatballs, etc). Caramel Apple Cider was soooo good. Make it now. 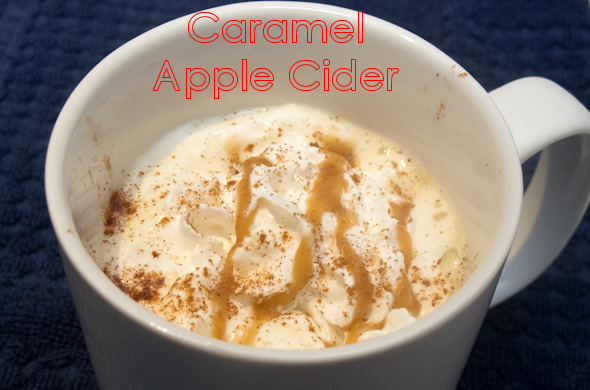 Apple cider, heavy cream, and brown sugar amp up and personalize this drink. 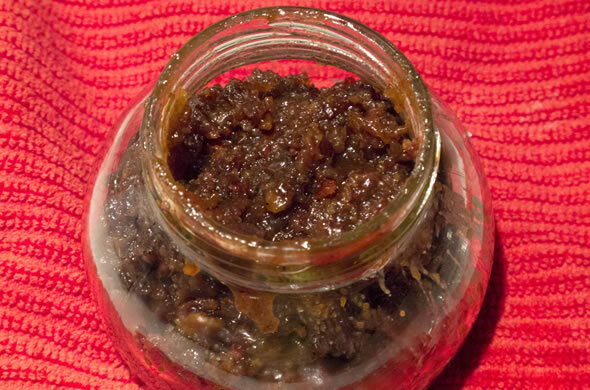 Bacon jam is perfect for literally everyone except a vegetarian. It is nicely gifted in a jar and is easy to tote wherever you’re going. This weekend was a prime example of centering an easy/do-able menu around a spiral glazed ham. We made some mashed potatoes & green bean casserole. It was simple enough and nothing crazy. You could do ham/turkey/pork roast/etc then make your sides something easy like a top your own potato/mashed potato bar. Or host apps & zerts that either you make or that everyone else makes. You can add a wine-off too and your guests will surely focus less on your food once they’ve sampled enough $15 and under priced bottles of wine. 1) know what you can do/make/what you have time for & ask others to provide a category you can’t or don’t have time for. Giving a category to those who are picky or have restrictions will be great help for you and make them comfortable. 2) don’t apologize for what you made (same for the condition or cleanliness of your house). 3) plan in advance: map out your serving, set up, cooking, prep, & shopping backwards from when you want everything ready (with extra wiggle room). I needed something really good to redeem myself after Tuesday’s post. 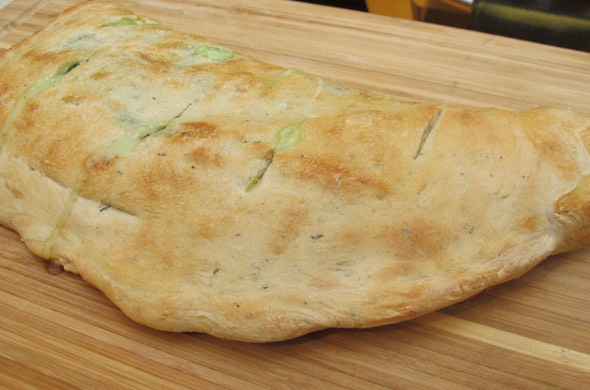 This calzone was really great ANNND really easy. The filling was already made so this calzone was just assembly. Perfect for this time of year! Preheat the oven (and pizza stone if using one) to 400-degrees. Cook the meatballs and creamed spinach according to the directions on the package. Then slice the meatballs. Lay the pizza dough onto the pizza stone or pan off center (so what will be the bottom is centered). 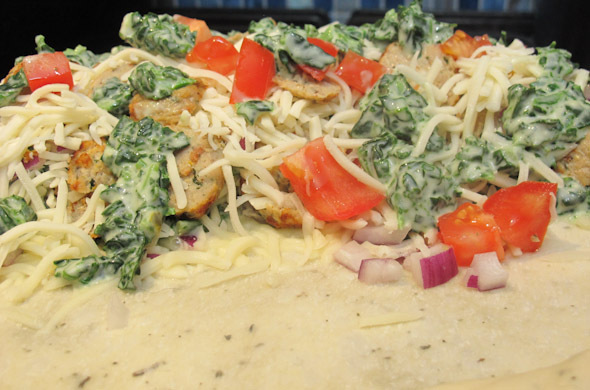 Layer on: cheese, meatballs, creamed spinach dollops, tomato, and onion. Repeat. Repeat. (it needs to seem over-filled). Fold the rest of the dough over the top and pinch closed. Slice a few slits into the top to vent the calzone. 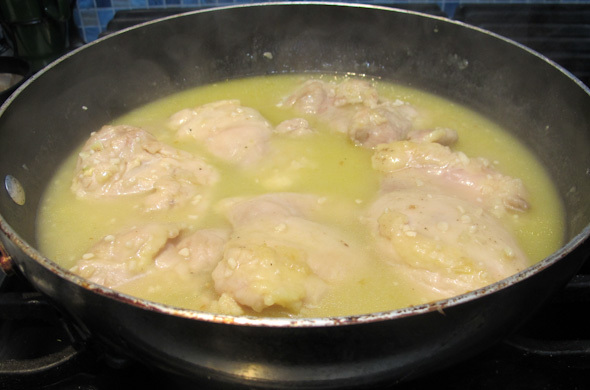 Bake 20 – 25 minutes, until golden brown. Let sit 5 minutes before slicing. I loved this one. It was so good, not over-complicated, and so easy. I really appreciated the ingredients just hanging out for the precise moment I was ready to make dinner. 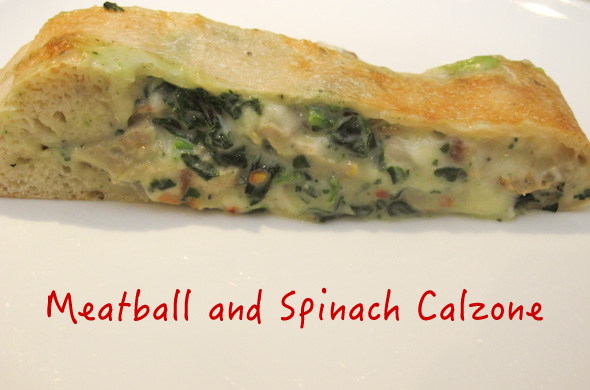 Creamed spinach is a great go-to freezer item. I have thrown it onto pasta as a sauce, or into deep dish pizza, and now into calzone! See what happens if you are too hungry to be patient? haha it is OK, it tasted good, inside or out of the calzone. This weekend is the C Family xmas so stay tuned on instagram for some goodies and I’ll be back next week with some holiday festiveness that is simply delightful. This isn’t going to be my signature dish. Really. I’m not being modest. This wasn’t great and I’m not sure where it went wrong. That can be where you come in…Thoughts? Suggestions? I saw this on the menu of Local 149 (and it is still on their menu) so people must like it, right? 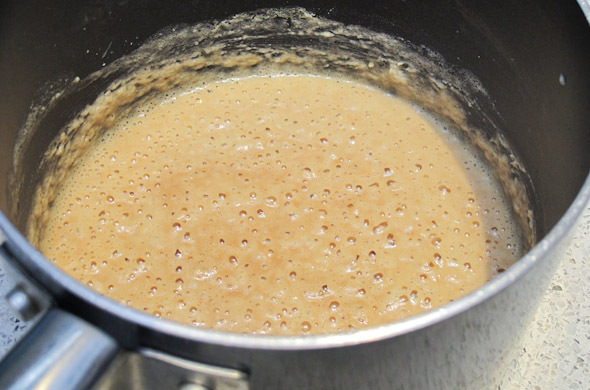 Prepare the risotto: toast the rice; warm the broth with the wine together; incrementally add the liquid to the rice until absorbed and continue adding until the rice is fully cooked. 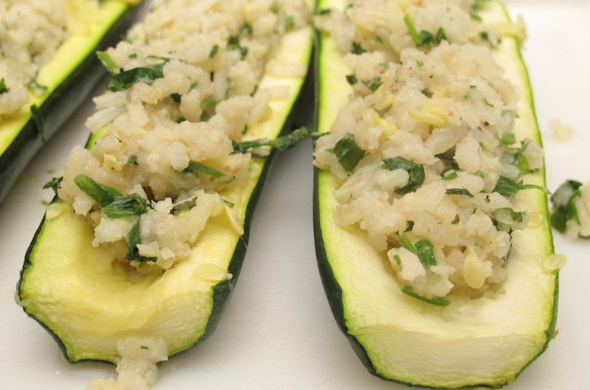 While the risotto cooks, preheat the oven to 375-degrees, half the zucchinis, and place skin-side down on a baking sheet. Bake the zucchini for 15 minutes. 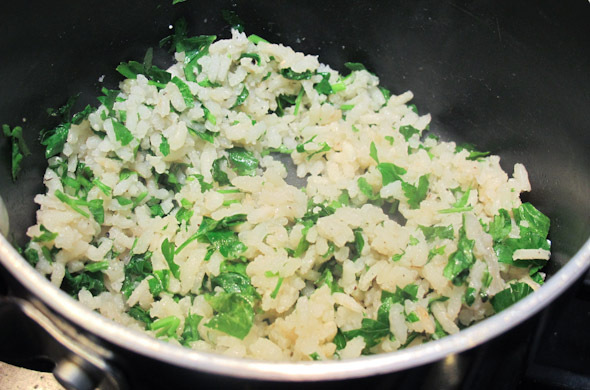 Add in Parmesan, chopped parsley, salt and pepper to the risotto and remove from the heat. 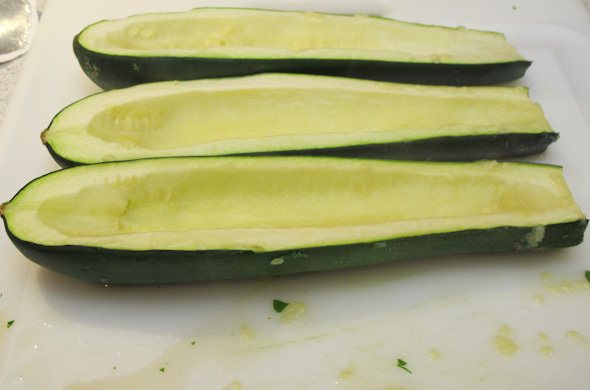 Remove the zucchini from the oven and scrape out the inside fleshy part of the zucchini to form the boats. Chop up the inner fleshy parts and add to the risotto. Spoon the risotto into the boats. 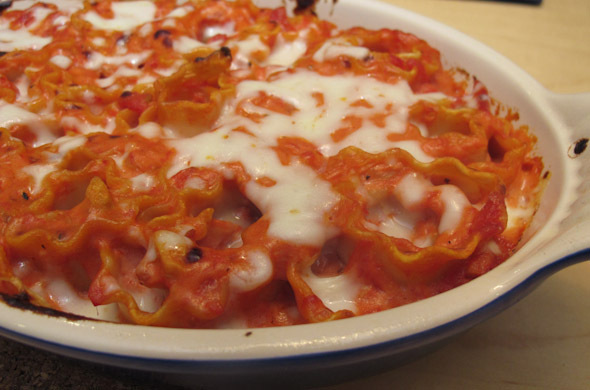 Bake for 10 minutes, then top with shredded Parmesan or mozzarella. Return to the oven until the cheese melts. I thought this would be so good! It was OK. It wasn’t great. I served it alongside some chicken sausage and dinner just seemed lackluster. I like the risotto. I didn’t really care that cutting the zucchini meant the risotto sort of fell out. The zucchini seemed like a good texture. The risotto wasn’t the creamiest I’ve ever made, but it tasted good. It wasn’t like I had an amazing dish I’m comparing to from a great chef. What gives? Am I just being nitpicky? They just don’t always turn out the way you plan. I cut my losses and tossed the leftovers when I accepted that we wouldn’t choose them amongst treasures in the fridge. I’ve been all about the bass desserts lately and I’ve been taking in the plethora of Christmas movies on TV so my spirits stayed merry & bright despite a dinner disappointment. Now is when I should be sharing the deliciousness from my lovely baby shower. Somehow I didn’t take a single photo. I brought my camera and didn’t get photos of people OR of food. #amature It was really wonderful. I loved every minute. It was so nice to be surrounded, and supported by everyone. My mom made my favorites: punch; her caesar dressing; 2 quiches with eggs from their hens; pasta with optional baked shrimp (not optional for me! ); brownies from scratch; real cheesecake with 2 topping options; butterscotch cookies shaped into ducks to take home. Yum. Loved it. Loved every minute and felt so loved. I can’t believe I didn’t take any photos with people! Instead I do have a fun dinner to share. 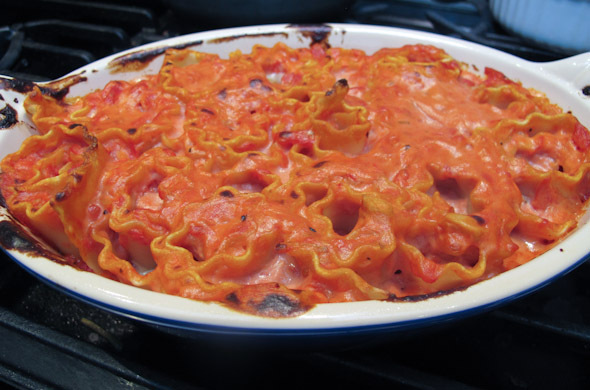 I saw these “rosetti” rolled lasagna on a Diners Drive-Ins, and Dives episode and thought it sounded so fun! Now, would be a good spot for the link but I can’t find it online. 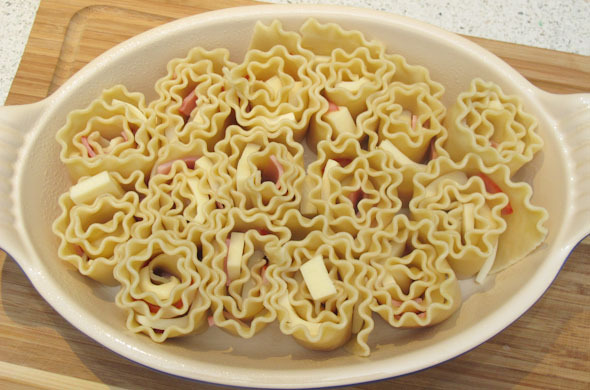 Pasta looking like roses? How cool is that?!?! I liked that it wasn’t traditional lasagna fillings either. It seemed like a good weeknight meal. Spoiler alert: it took a little bit longer to assemble than I planned. Easy and do-able but give yourself more wiggle room than I did! 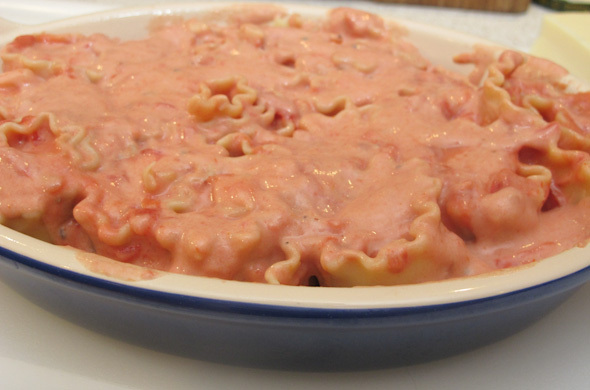 Warm the tomato and alfredo sauce together over low heat. Cook the pasta according to the package, being careful not to overcook. Chop the ham and cheese. 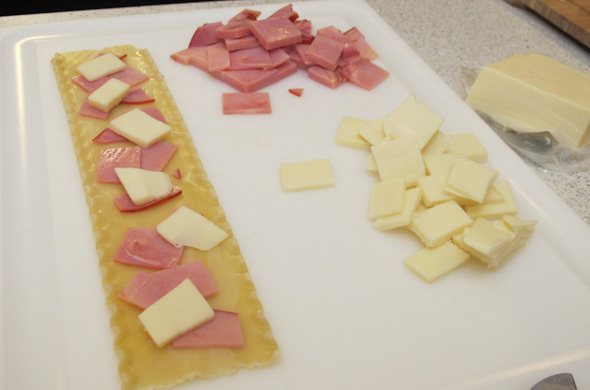 Lay out the pasta and top with ham and cheese. Spray a baking dish with non-stick spray. 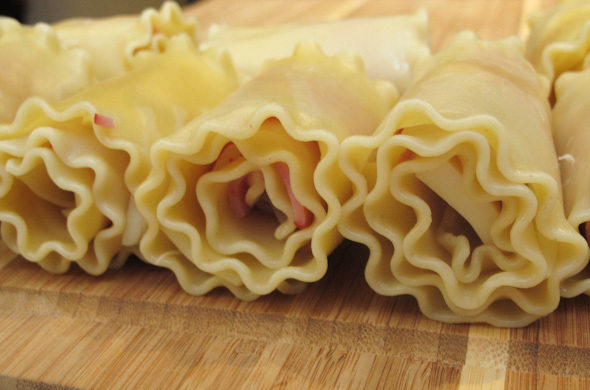 Slice each roll in half. Stand up each piece with the flat edge down into the dish. Spoon sauce over the top. Then broil for 5 minutes. Reduce heat to 350 and top with the rest of the cheese. Bake until the cheese melts. I loved this. It was cheesy and lightly tomato-y. I’ve made lasagna rolls which felt like a pain with no benefit. These were fun and really easy. I liked that the flavors were different and it didn’t take hours to make. The assembly didn’t really take too long but I didn’t have everything chopped and ready for when the pasta was ready. Don’t be like me…it isn’t that much to chop. 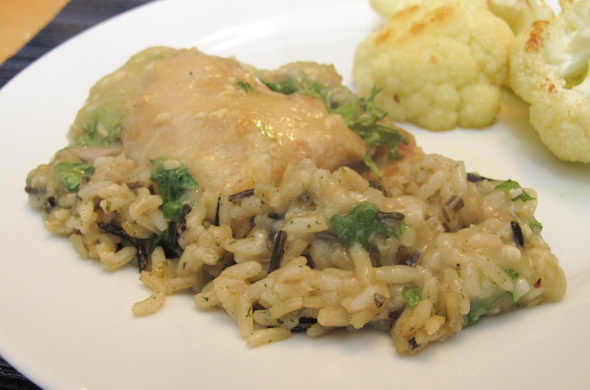 I made this chicken and wild rice dinner and loved how quick it was for something a bit different. I don’t make rice that often but maybe I should! 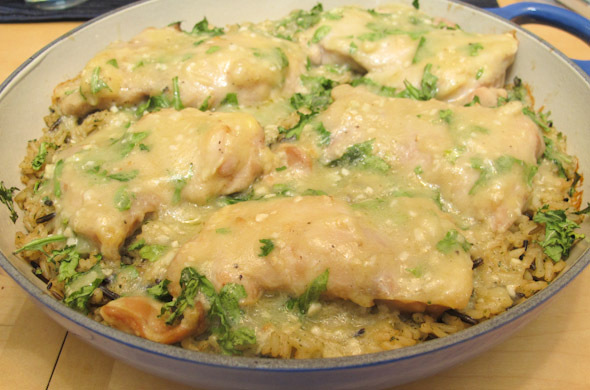 It was saucy with tender chicken, and flavorful with some crunchy rice bits. This would be a good make-ahead one. Heat a large skillet to medium heat-high heat. Add in olive oil, shallots, garlic, and chicken tossed in flour. Flip the chicken after cooking about 3 minutes. Add in the chicken broth & wine increasing the temperature to high. 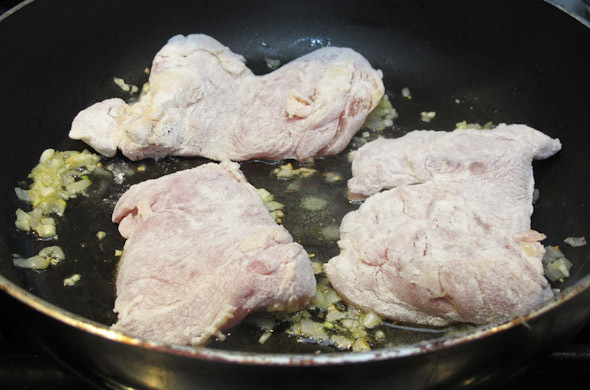 Cook for 5 minutes, then remove the chicken. 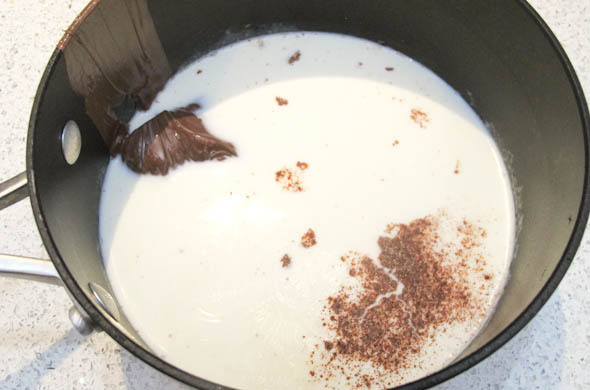 Whisk well to incorporate the brown bits from the bottom of the pan. Reduce heat to low and cover to thicken. 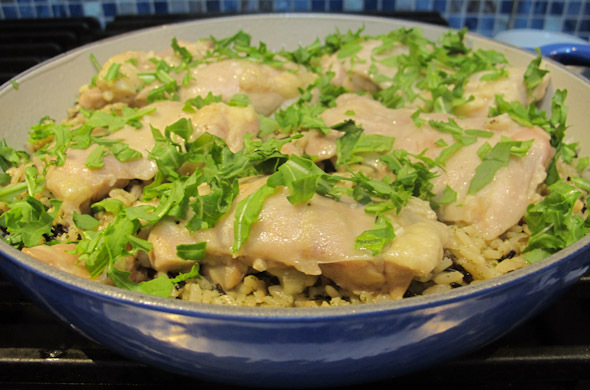 Spray a baking dish with non-stick spray and layer in the rice, then the chicken, then top with arugula. Add a bit more flour to thicken sauce if desired. 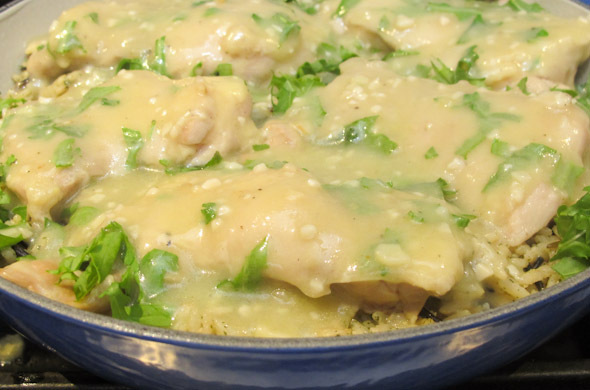 Spoon the sauce over the chicken. I loved how tender the chicken was and the rice with a good but simple sauce. The arugula was for color and freshness but the peppery flavor was a really welcome addition. I served it with some roasted cauliflower since the oven was already going and it is a no-fuss side. I try to minimize sides if the main dish is more labor intensive. I’d make this again and getting the rice prepped would speed it all up. It didn’t take that long but maybe minute rice would help too. I’m thinking chicken and wild rice soup should follow. Seriously, I may never run out of random pizza toppings. I was trying to come up with something fall-ish and vegetarian. I remembered drooling over How Sweet It Is’ short ribs pizza and decided I could Emily-ify it…aka, beef-less. Scheduling in a few meat-less meals helps highlight the veggies annnnd it is gentle on the grocery budget. I love butter and mustard flavors with brussels sprouts so voila! That became the sauce. Preheat the oven and pizza stone (if using one) to 400-degrees. 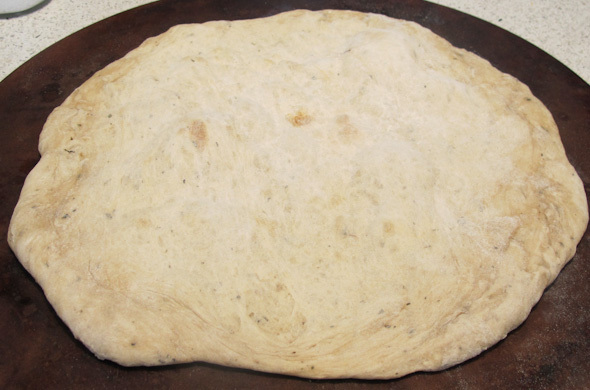 Roll out or form the dough into a very thin circle and bake for about 8 minutes (until lightly cooked and starting to brown. In a medium-high skillet, caramelize the shallots with a tablespoon of olive oil for about 5-10 minutes. When the shallots are golden brown, remove them from the pan and add in the brussels sprouts. Deglaze the pan with the cider vinegar, cooking for another 3 minutes. Melt the butter, garlic, and mustard and whisk together. 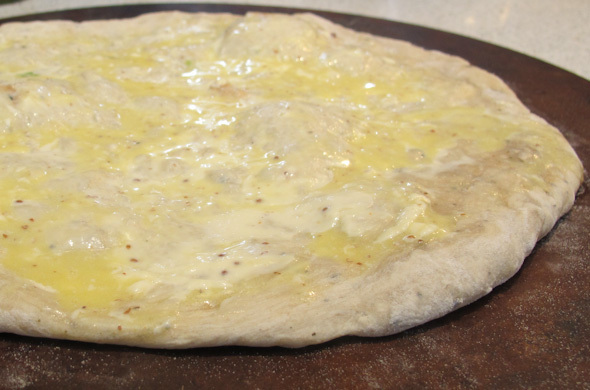 When the dough is cooked, spread on the dijon butter sauce. 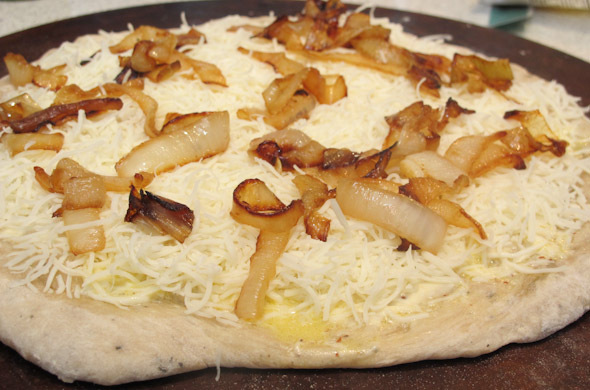 Top with cheese, then shallots. Then add on the brussels sprouts. Bake for 15 minutes until the dough crisps and the cheese melts. Let sit for 5 minutes before slicing. Enjoy! 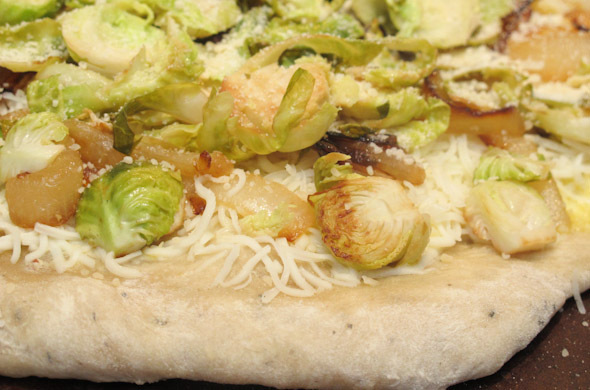 The stretchy cheese with the touch of acid in the brussels sprouts and the buttery mustard flavors is perfect. 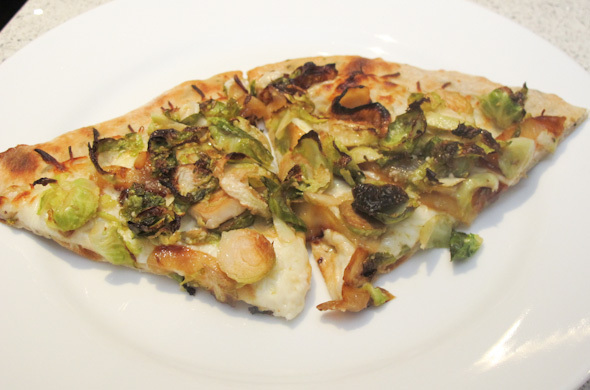 I loved this one and can’t believe I’ve never put brussels sprouts onto a pizza before! 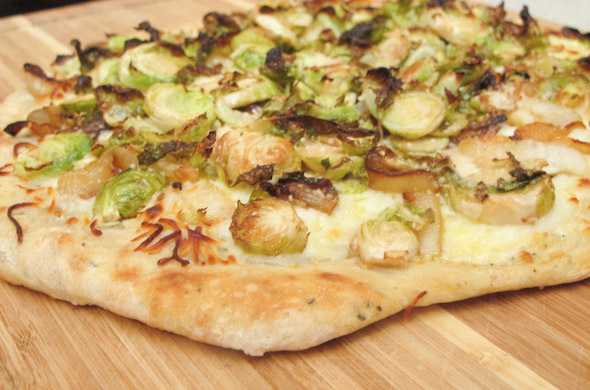 This would also be a good use for leftover brussels sprouts. I wanted to spread out the pumpkin goodies. Sometimes it gets overdone when November is jam-packed with only pumpkin baked goods, drinks, and goodies. I also wanted some great cheese in there. 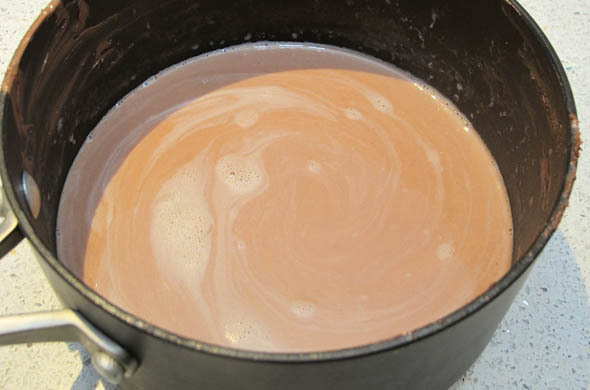 In a large saucepan, melt butter over medium heat until it foams, and then starts to brown. Add in the flour and stir well as it forms a paste. Then add in the milk and cook for another 2 minutes. Add in the grated gouda and pumpkin. 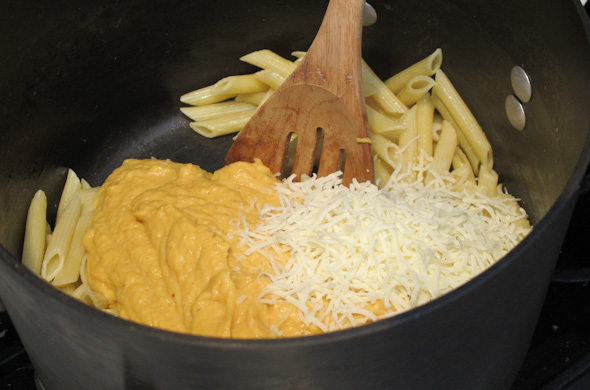 Drain the pasta and mix together with the sauce, and jack cheese. 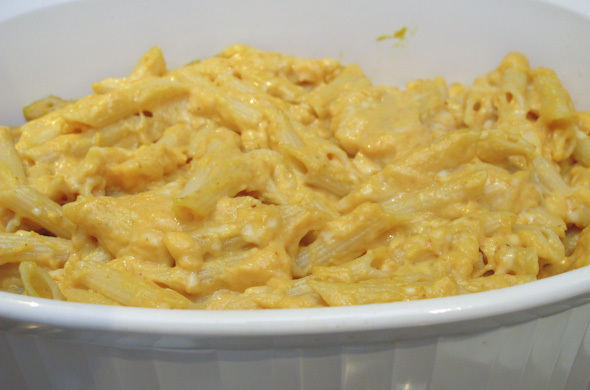 Spray a baking dish with non-stick spray and spoon in the pumpkin mac and cheese. Melt butter and mix in the breadcrumbs and parmesan cheese. Top with the crumb topping and bake for 20 minutes. Broil the last 2 minutes if it hasn’t browned enough. 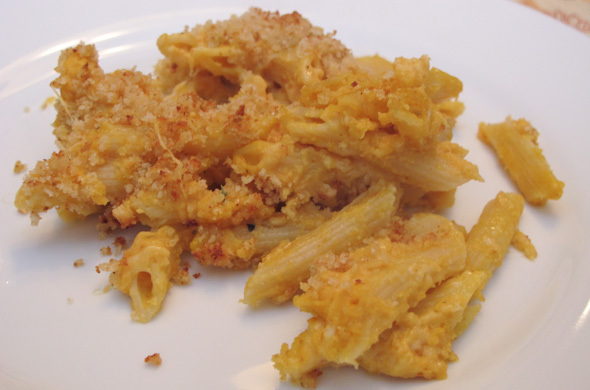 This was subtly pumpkin but had great fall flavors that were far enough away from everyday mac & cheese to feel fun. The brown butter sauce added a nuttiness and the parmesan on top was a good salt component. I had more sauce than the quantities above so I froze the rest. Someday it’ll be insta-pumpkin-mac. It was pretty thick and I may add some chicken stock to thin it out a bit. 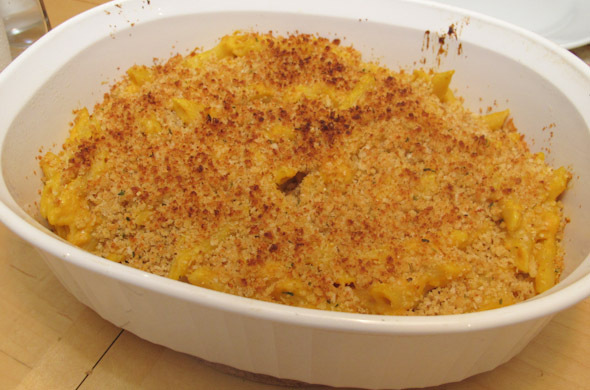 That helps mac & cheese have real flavor without being milky without highlighting the cheese.